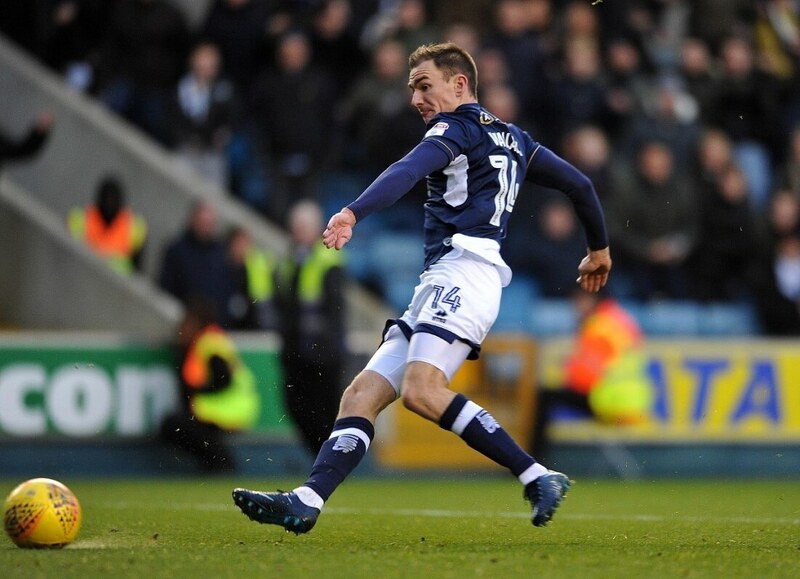 Millwall picked up another win as they overcame Middlesbrough 2-1 at the New Den to extend their unbeaten run to 3 games. They could have won by more but let it slip in the second half as Middlesbrough came back full of fight but didn’t have enough in the tank to stop the Londoners from taking all three points. First half goals from Wallace and Saville were enough to keep the Lions ahead of the north east team but a goal in the middle of the second half from Stewart Downing for the visitors ensured an edgy and nail biting last quarter of the game for the home team. As in recent home Millwall games the visitors enjoyed much more possession than the home team, a massive 67% to 33% but couldn’t muster enough chances to go back on the long trip home with anything worthwhile point wise to show for their endeavours. In truth Millwall could have won the game with a bigger scoreline if it hadn’t have been for Republic of Ireland international keeper Darren Randolph holding the fort for an experienced Middlesbrough side who find themselves slowly sliding down the Championship table. Middlesbrough had started well enough playing some decent football but conceded two goals in six first half minutes and fell apart after that and although they did pull one back to ensure a fairly frenetic finale to the afternoon it was never enough. Teams can’t defend like the visitors did at Millwall and expect to get away with it and on this occasion they didn’t. The two goals Boro did concede suggest poor defensive discipline and organisation and the defence were lame. Manager Garry Monk was left to face the flak and he needed his team to build on a promising win against Ipswich. Instead, it was a replica of a game once again as Boro went 2-0 down on the road, like they also did recently at Leeds and Bristol City. In those games the hosts gifted Monk’s men a route back into the match and it was the same story at the New Den, with Millwall keeper Jordan Archer miscalculating badly and failing to keep out a fairly saveable Stewart Downing shot from 35 yards. However, on each occasion Boro haven’t been good enough to take advantage and force an equaliser and the main difference between the teams was that Millwall came up with a system and a game plan that enabled them to punch above their weight. For Millwall Jed Wallace fired the hosts in front after a swift counter-attack, before George Saville fired in from close range to double the lead. Jordan Archer’s error gave Boro hope as he failed to keep out Stewart Downing’s routine effort from 35 yards out. Despite huff and puff from Middlesbrough at the end they fell to a third defeat in their past four games and it was Boro’s Darren Randolph who made a smart save to deny Steve Morison when the Lions striker was played through on goal. Millwall stay 17th but are more importantly are now nine points above the relegation zone. “Top teams don’t particularly like coming here this season. We are what we are as a football club. We have to make it hostile, intimidating. We have to play aggressive football with and without the ball. “We play very good football as well – you see that with the first goal in particular. We haven’t got players that are worth millions of pounds, but I think I’ve got a lot of players growing in reputation at this level because they are very good footballers. “I’ve said it too many times this season. It’s never through a lack of effort within the group. It’s just comes back to naivety. I feel like a broken record at the moment.